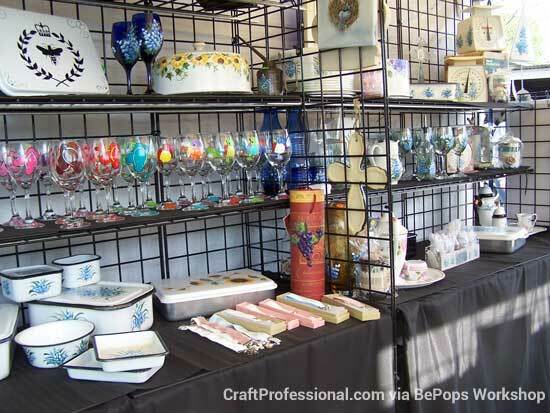 Have you been thinking about using gridwall display panels for your craft booth, but you're not sure how to make them work in your space? 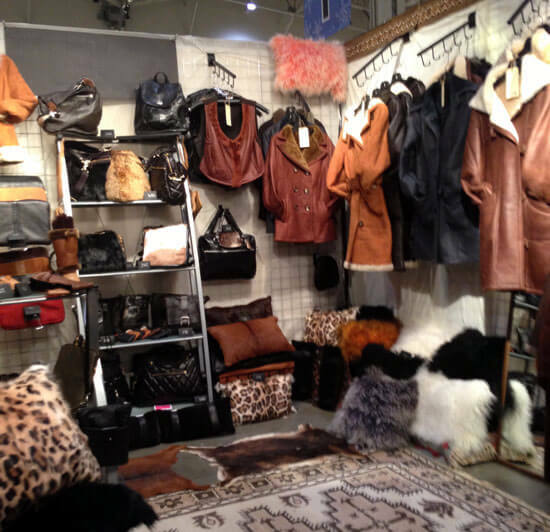 Here are 14 photos of booths that use grid walls for displaying everything from hats, to clothing, to wooden trays to give you some inspiration for designing your own booth. The lovely booth shown in the two photos below uses black gridwalls all around the perimeter of the booth space to display hats and scarves. Brackets with millinery display hooks for holding hats can be clipped anywhere, which provides a lot of flexibility. Notice the side walls that are attached to the tent behind the gridwall panel. 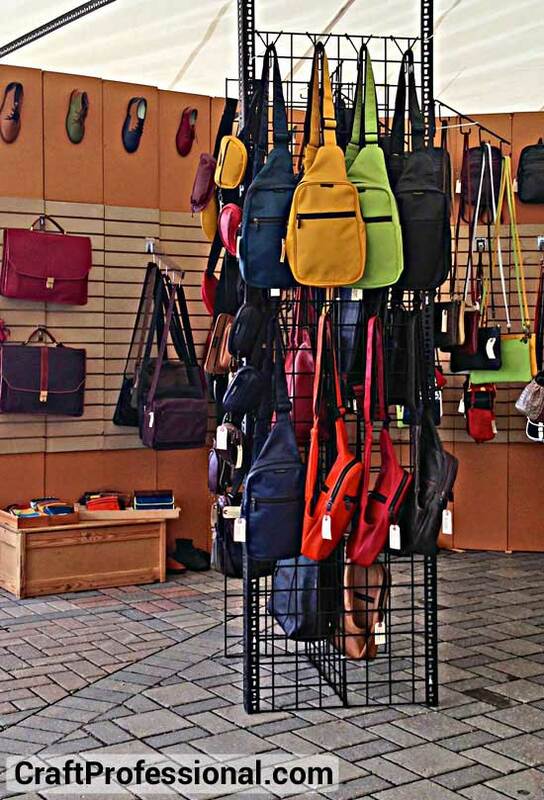 Not only do side walls help to protect you and your products from the weather, they also provide a neutral backdrop for your display and block the view into neighboring booths. 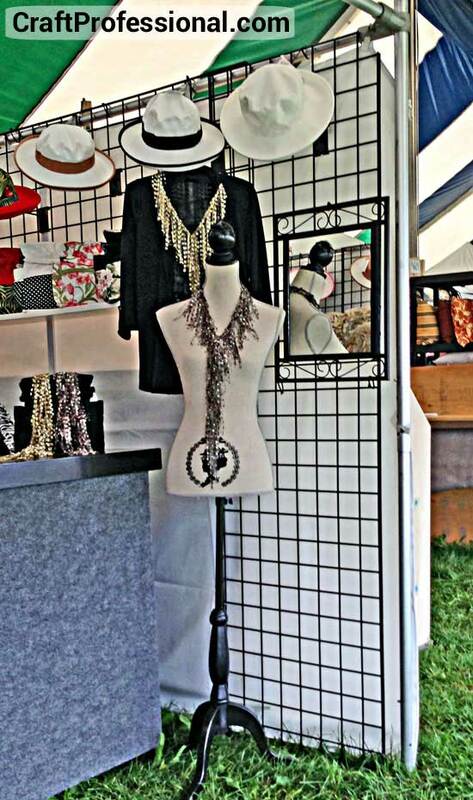 Grid walls are an excellent option for displaying clothing. You'll notice plenty of them if you start to look closely at handmade clothing booths. In this example, the panel is placed at the front of the booth to show off some of the designer's more eye-catching items. Notice how the chrome color of the panels doesn't compete with the clothing. 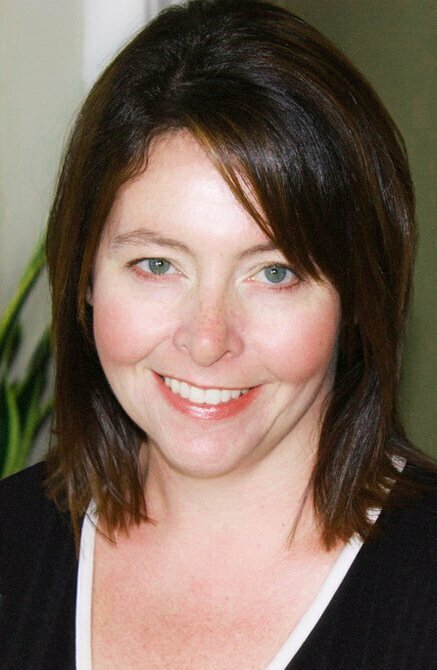 Grid walls typically come in white, black or chrome. 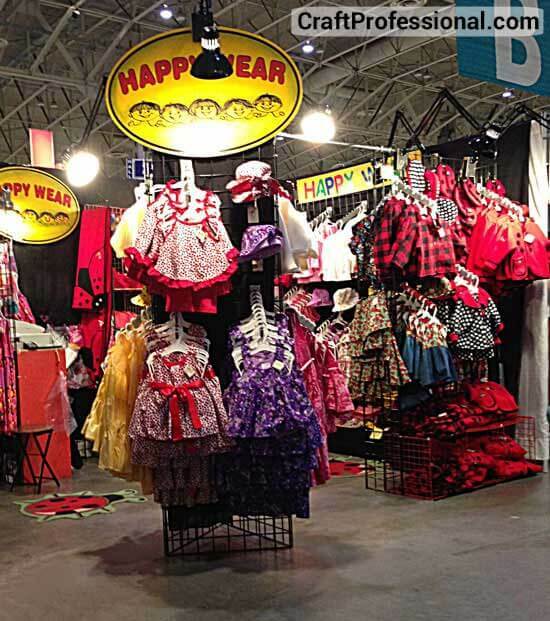 Be sure to think about which option would blend best with your items as well as the rest of your booth. Here's a triangle-shaped rack placed at the front of a booth. It highlights the designer's clothing as well as the sign without taking up too much floor space. Notice also that this rack is well lit with a lamp clamped on to the top of the sign. One of my readers, Beverlee from BePops Workshop, emailed me after reading this page to say she uses gridwalls in a way that is completely different from any of the photos I had posted. 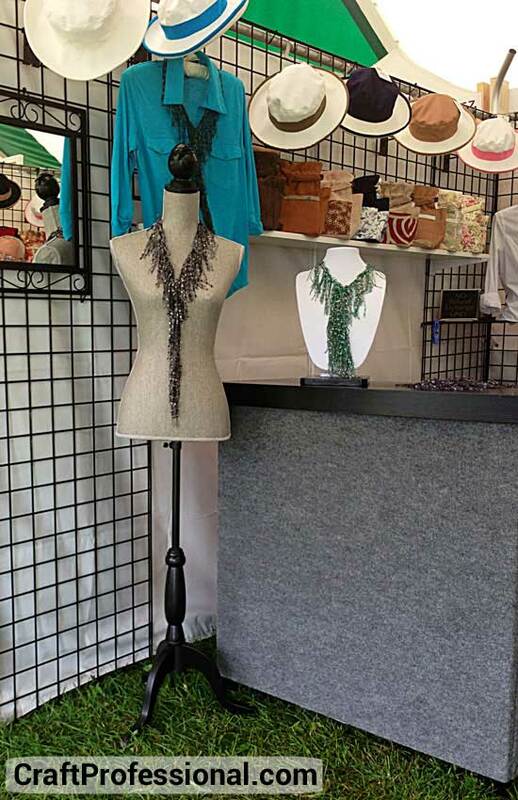 She sent me a photo and description of her booth, which makes great use of shelves on gridwalls, and she was kind enough to allow me to share it here to help others with their booth designs. The display "is in a 10x10 tent, outside. We have had to alter the grids to 8' in order to zip and secure the tent overnight. It is heavy, but it is convenient. As you can see, we cover the bottom part, in order to store our buckets that we pack our things in, much better than having to lug them back out of the trailer each time. All grid walls." "The part that has the cover on it is also a gridwall, I covered it, so that the 'buckets' we use for transporting our things don't show...I used black tablecovers that go across the top and in front, we installed grommets in them, to use zip ties to attach them to the back, and I used foam core board on the top to keep small things from falling through, and I use non slip shelf liner to keep the glasses from slipping. Everything is zip tied, and I also have a large curtain for the back if we are against someone without a divider. We started out with everything imaginable, then built some folding shelves, and now these. These are the most efficient, and can be spaced however you like. We make the wide shelf tall enough to accommodate 2 storage buckets." 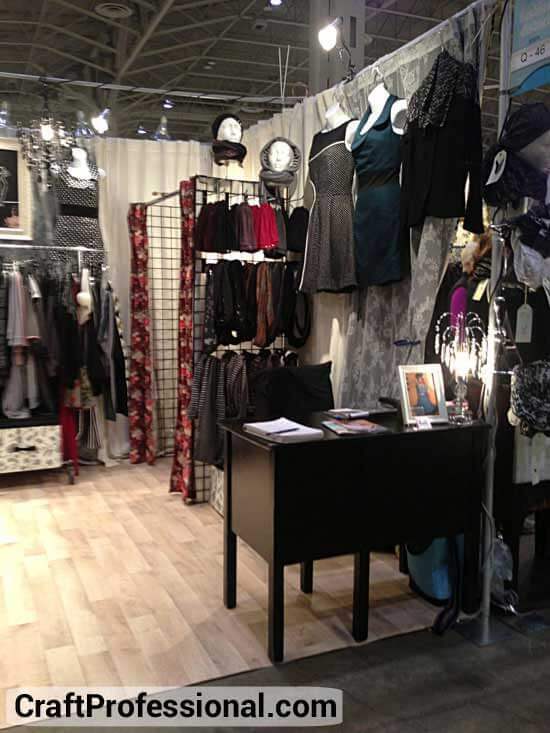 Thank you so much to Beverlee for sharing her booth photo and her description of how it all goes together. I really do have the kindest readers! Here's an interesting way to dress up your gridwalls. 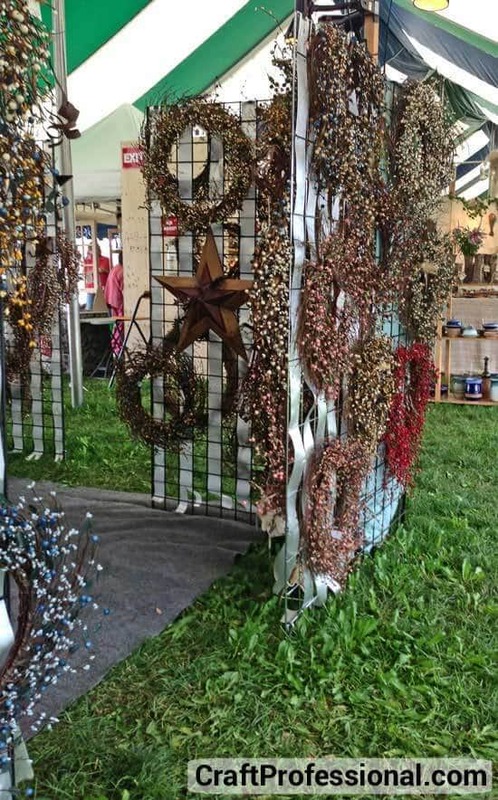 Wide ribbon woven into the panels provides and nice light-weight alternative to hanging curtains and allows you to clip items to both sides of the panels as this wreath maker has done. Plenty of handmade hats fit on this display. 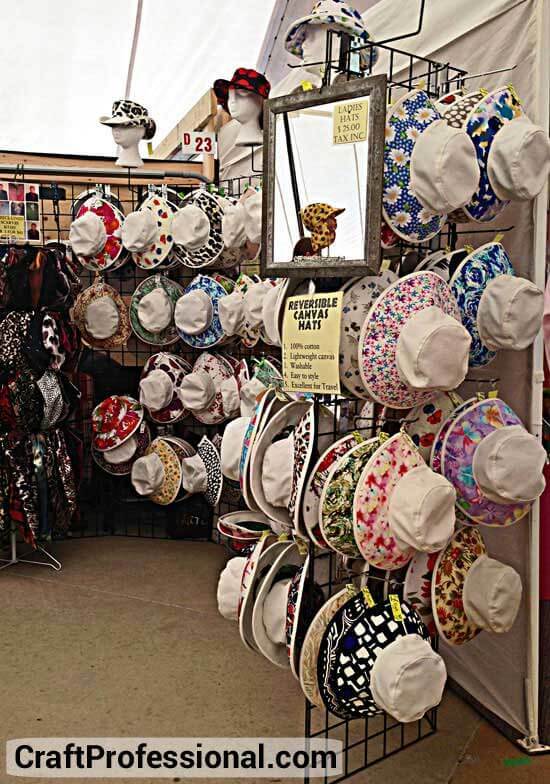 The brackets used are simple and allow easy access for customers to look at, pick up, and try on each style of hat. 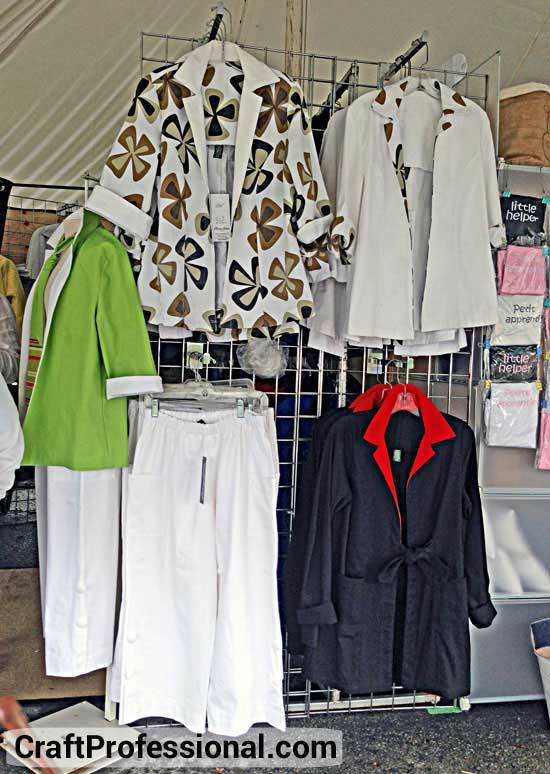 I adore this clothing booth. If you look closely in the back corner, you'll see that grid walls have been used to create a small changing area where customers can try on clothing. The outside of the panel is used for extra display space. Such a smart idea! You'd never notice the gridwalls in this booth if you weren't looking for them. They are neatly disguised behind cream colored fabric, but the waterfall brackets still clip securely to the grid. Here is an H-shaped gridwall display at the front of a booth. Like the triangle shape shown earlier, it is a sturdy arrangement of the panels and draws customers into the booth by showing off the artist's more eye-catching designs without taking up too much space. Amazon has an extensive selection of grid walls and related accessories that are competitively priced and quick and easy to order.